What’s New for Europlan in 2017? The New Year is off to a great start for Europlan, with new projects being started, new ventures being sought after and existing developments progressing nicely. 2017 looks set to being another great year for our company. As some of you may know, Europlan is also expanding as a company in 2017. We are now a S.A. company which for our British readers is basically equivalent to a PLC company. It is exciting times for the company as we continue to expand throughout the years and through this “Crisis” that has hit our country so hard. 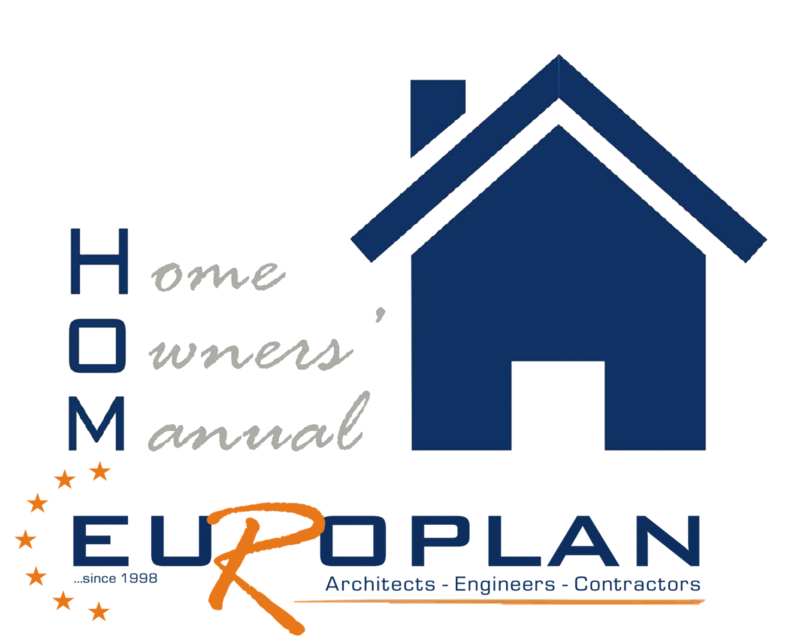 Europlan has always strived to be a company of innovation and forward thinking, not only with our construction designs and techniques but with regard to being a step ahead of our competitors with regard to marketing and promotion. As a company we like to think “outside of the box” and push ourselves with regard to every aspect of our business. For 2017 we have lots of new and exciting ideas that have been in the making for the last few months and over the next few weeks we will start rolling them out to you.We are very excited to be able to introduce to you our new website, our new App, our new magazine, our new video and out YouTube Channel. Of course we will not present all of these things to you at once, as you will become overpowered with our greatness. Therefore we will slowly introduce you to one item every week for the next few weeks. That way you have time to digest the information and process all the new things we have to offer. So for this week we would like to show you our new website. We have created it over the last few months in connection with Actionweb – a local company who specializes in all things online. We always try to commence work with local companies as we believe that keeping work in the community is an important factor for a well-established company like ours. Our new website is fresh and dynamic and holds all the information you could possibly wish to find out about our company. Here you can read about all the services we provide, the people behind the services, you can see photographs of all of our projects and find the best way to contact us. We wish you all the best for 2017 and hope that you stay with us for our next announcements. Keep in touch!!! to London to collect our company’s 9th International Property Award. annual gala dinner, at The Marriott Hotel to receive the prestigious award. Emotion Art Villa was the subject of the celebration this year which won Best Architecture Single Residence for Greece! This magnificent villa which is situated in Elounda beat fierce competition to take the top price. Lutz ventured to the stage at the event to collect the award which this year was sponsored by The Telegraph and Emirates, which highlights the high standards of these awards. Bravo à toute l'équipe Europlan et le propriétaire, qui a travaillé ensemble pour faire Emotion Art Villa un autre établissement primé pour la société! What an excellent weekend of darts at the Cretan Master Darts Tournament held here in Agios Nikolaos. The standard of organisation was exceptional and the levels of support for the game were unsurpassed. Big congratualtions to the organisers of the event who showed that Cretan darts are on a par with the rest of Europe. Le week-end se déroule sans accroc et tous les participants ont apprécié l'hospitalité des hôtes crétois. L'événement a eu un taux de participation sans précédent de joueurs de Chypre, la Grèce, l'Allemagne et l'Angleterre et tout le monde a commenté le niveau de professionnalisme et de l'organisation de l'événement. L'événement double du vendredi a été un événement se ronger les ongles et vit Benny Greco et Barzis prendre la première place. The womens masters tournament on saturday showed an extremely high level of play with Anastasia Pandagioti beating Maria Prossia to the top spot. Later the men competed in the Master tournament and Simeonidis beat halliwell in a spectacular finish. Europlan has been a great supporter of darts in the community and was very proud to have been able to support this excellent event. The organisers did an exceptional job and should be commended for their dedication and commitment to the game. We look forwards to supporting future events which help to promote and support local organisations. Great darts everyone!! Men 21-44 years old (70 km): 1st Sander Van Ntiouvenise (Belgium) 2: 00 ‘: 15’ ‘, 2nd Neil Poultomn (Wales) 2: 00′: 24 ”, 3rd Sir Werner Mueller (Germany) 2: 00 ’25’ ‘. 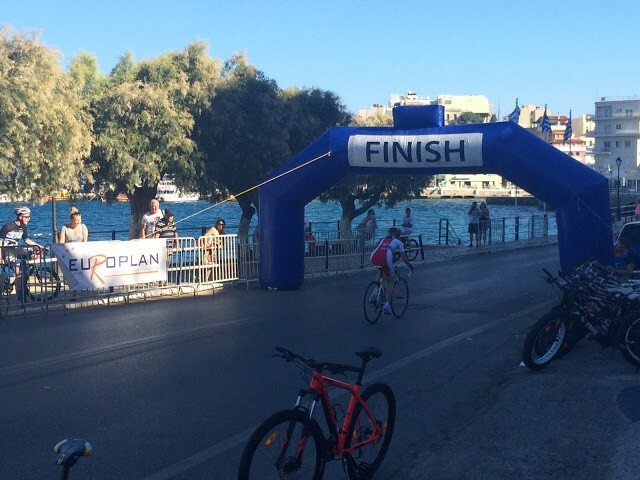 After the end of the contest of strength were the closing ceremony of the World Championship and the prize in the main square of Neapoli to the sounds of Kostis Chronaki complex and cyclists … they initiated in Cretan dancing tradition dancers Adriani Galanos. Mayor St. Nicholas Anthony Zervos, after the end of the competition expressed full satisfaction with the success of the organization, thanked those responsible for the World Association of Cycling Journalists for cooperation and gave … an appointment with them for another great cycling event in Agios Nikolaos in the near future. The next, 18th World Championship Cycling Journalists will take place in September 2017 in the German Black Forest town with the mayor St. Nicholas delivering the flag of the race the next organizers, who had attended in Crete. The members of the Tsifliki Europlan Team were very lucky last week (08.02.13) to welcome Zoe Nikoloau to the office to give us all a seminar on “How to cope with Stress in the Work place”. We all found the talk extremely beneficial and I am sure we all learned a few Strategies to use in the future. We would like to say a big thank you to Zoe and hope that she will visit us again sometime soon in the future. And remember…dont Stress!!! Europlan are not the only ones who are proud that we have won another International Property Award. Local televison station TeleKriti also wants to show off our success. 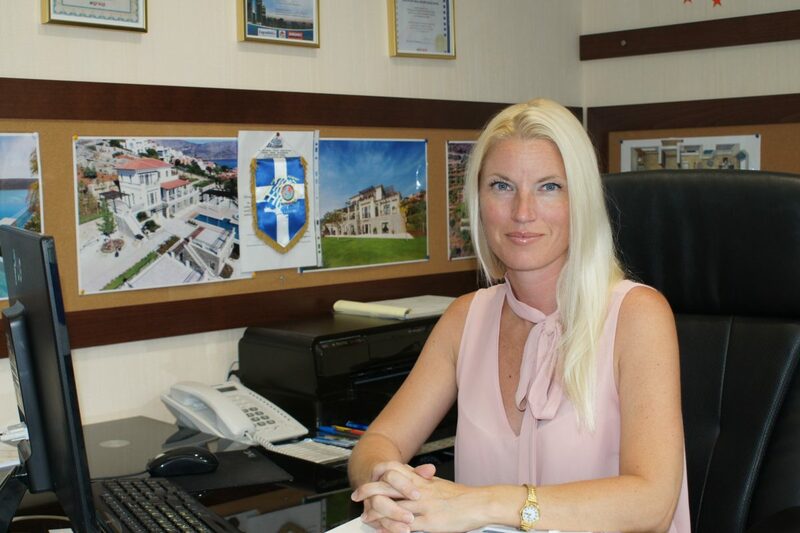 Watch below an Interview which was broadcast this week where George Gounalakis talks about our latest success story – Plaka Villa winning the International Property Award for Best Architecture in Greece. The video shows a short video with George collecting the award at the ceremony in Grovesnor square London and an interview with him discussing the general practices which we follow as a company. Enjoy! George Gounalakis inteview with TvCreta discussing general issues about the current economic situation and how this will effect land values and construction in the future.